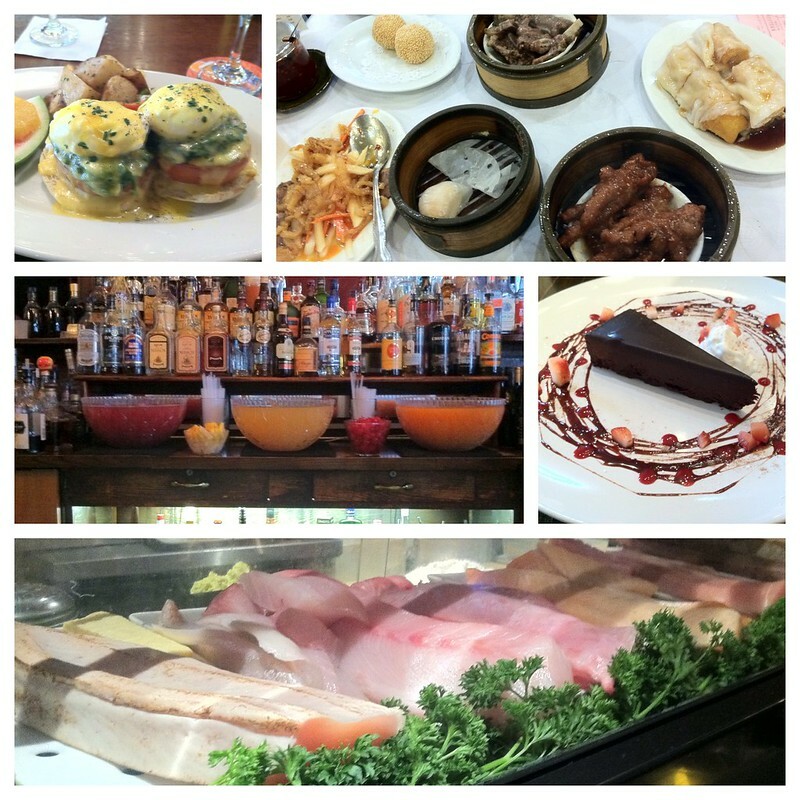 So much good food in San Francisco! Sometimes it’s difficult to decide where to go and what to eat. Parkside Tavern: Turkey & Spring Vegetable Hash with poached eggs. Cold night in the Bay Area? Order a hot bowl of ramen. 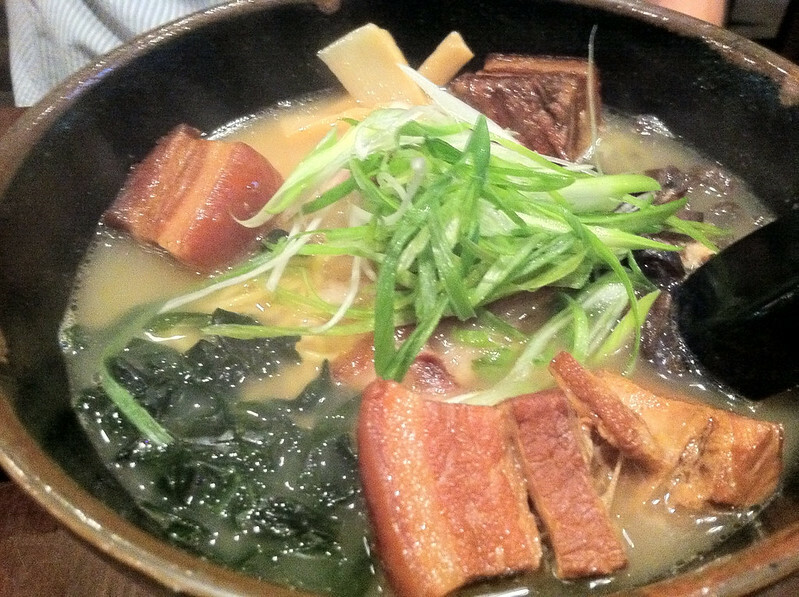 We fell in love with the spicy garlic tonkatsu ramen at Saiwaii Ramen in SF’s Outer Sunset. 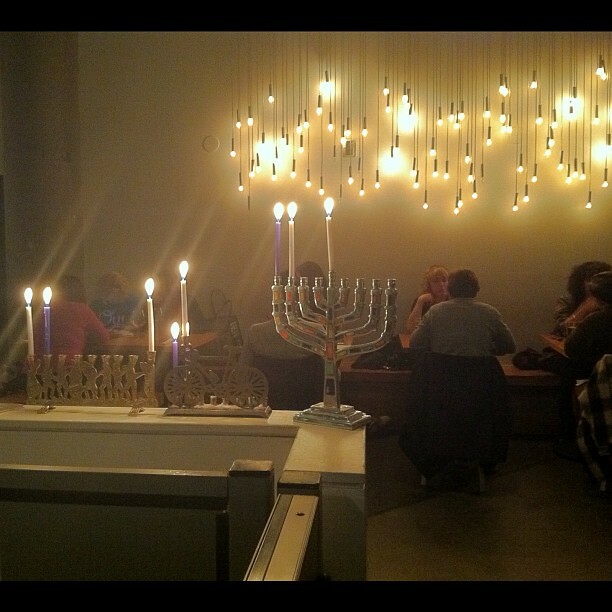 Thanks to a tip from our SF Mission buddies, Susan and Tom, we tried out a Hanukkah Pop Up Dinner at the Coffee Bar. The dinner is the brainchild of Old World Food Truck. Chef Kenny Hockert told us he wanted to celebrate the food traditions of his grandmother and tap into other edible memories of Hanukkah. This lovely night of food and wine ended with a beautiful prayer sung by the chef and his diners. 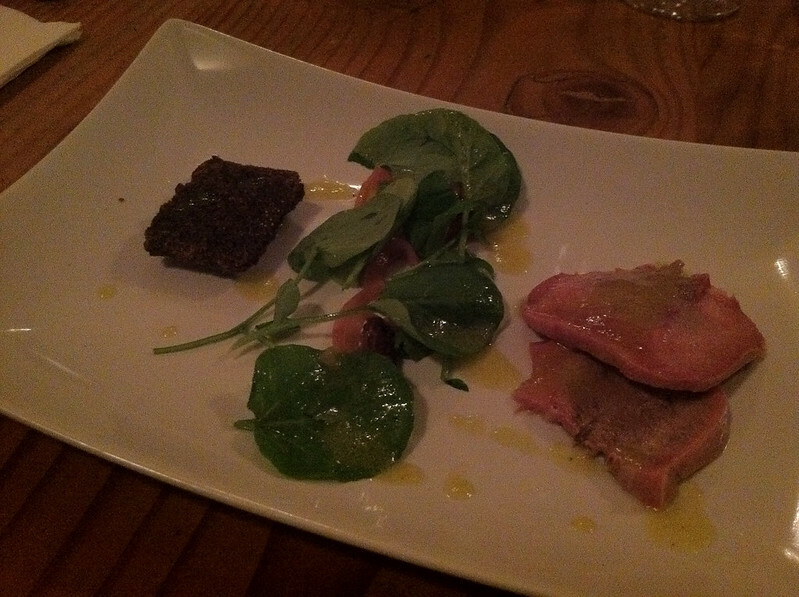 I enjoyed the pickled calf liver. I made a little sandwich with the greens and onions over a pumpernickel crouton.